Jailbreaking is the process of lifting all the limitations that were on the device running iOS, i.e. the Apple iPhone, iPod, iPad. The iPhone Jailbreak is something very common among the Apple users, for the reason that they wanted to more than what the actual iOS provides. The jailbreaking although is possible on every Apple device, it is most commonly done on the iPhone and the process of jailbreaking involves using of some software and hardware exploits. Just like in the Android phone rooting, the jailbreak gives a root access to the file system of iOS which a normal user doesn’t get, and thus, there is a possibility to install and run the third party apps and tools which are not available through the Apple iTunes store. Jailbreak = Breaking the device out of jail (locked OS system for the iOS devices). Although interesting and useful for the users, the Jailbreaking process is not recommended and supported by Apple, the iOS platform maker. Not just Apple, but even the researchers tell you that Jailbreaking is not a good idea if you are intending to use the phone for business purpose, as this process puts the phone into security risk. While for the first time users we mention about the root access as the reason for jailbreaking the iOS device, i.e. 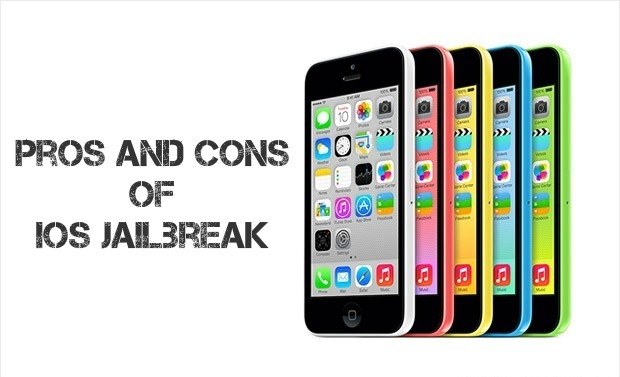 iPhone, iPad or iPod Touch, here are the actual reasons why one would think to jailbreak the device. Jailbreaking is the first step a user has to do, if at all he has to unlock the device and then use it across multiple carriers. 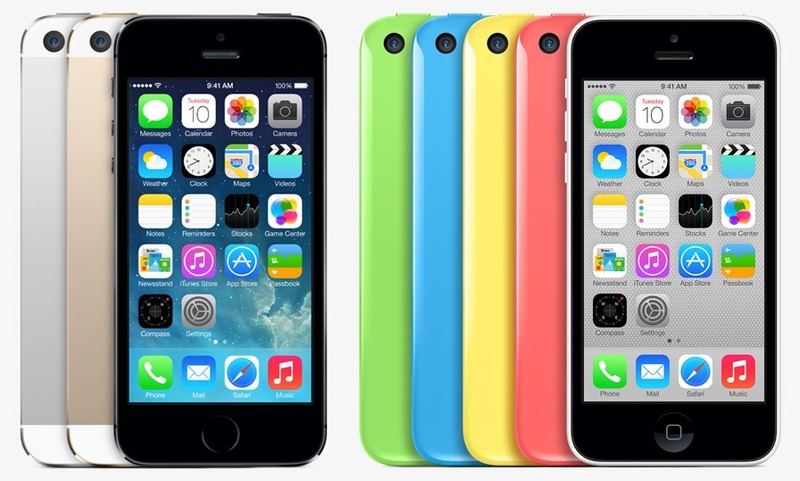 In the US and UK, the iPhone comes locked with a particular network, and it cannot be used with any other network. Jailbreaking makes it possible to install such apps through third party systems which help in unlocking the device. There is no limitation to the customization that is possible once the phone is jailbroken. The reason for that is again the same – you can use such apps and themes which were not available on the standard OS. There is a certain level of customization possible with limited number of options, but jailbreaking makes it a different case. Although Apple has the language option in its devices, there is a need for a proper input system for the characters in a particular language. For example, the Chinese iPhone owners jailbreak the iPhone for the reason that they can install third-party Chinese character input systems, which are easier to use than the ones which are provided by Apple. For those who are very much concerned about the security, the jailbreaking helps in fixing the early exploits that are detected in a new iOS version. Apple for sure is going to send an update with the fix, but that takes time and thus, for those who wanted an early fix, the developers give a new version at the earliest. How are Jailbreaking and Android Rooting different? Both Jailbreaking and Android Rooting have just one main objective – giving the users administrative privileges, i.e. the root access which helps in installing third party apps, but with Android, you could anyways sideload the application and install it without having the root access. The difference is – the iPhone comes with the technical restrictions where the modifying or installing a new operating system is not possible, and that is because of the locked bootloader in the Apple devices. The Android devices in the other end come with a bootloader which is not locked, and thus, you are able to make any modification to the operating system, and even change the entire OS itself. Introduce to a whole new world of applications which are not available from the iTunes App Store. One of the very famous frameworks which helps you get new apps into the iOS system is Cydia. Most of the jailbreaking methods install Cydia app and from there, you could install the third party apps. Tethering isn’t a possibility with the iOS directly, unlike in Android. Cellular carriers charge extra and provide a high priced plan to the users if they wanted the tethering option to share the data network connectivity. But once Jailbreak is done, there are apps which would help in the tethering without any extra costs. Customization can be done at will. A customization app called WinterBoard can be installed through Cydia and this is what would make it possible to install themes, and change the icon, wallpaper, dock and the status on the screen. This is all not possible on the standard iOS. Access to file system of iOS: The core file system of the iOS cannot be accessed directly, and it is the jailbreak which would give you the access to the file system. This is only for the experts and developers who wanted to do more than the simple file transfer. Change the wireless network providers: The iPhone comes locked with a particular cellular provider. Jailbreaking makes it possible to unlock the iPhone and then use any GSM SIM card from the other network provider. Jailbreaking is the first step in unlocking the device. Makes the device a target for malware: One of the major reasons why Apple doesn’t allow all this is the security, and the vulnerability to malware and other attacks, Jailbreaking makes your iOS device a target for malware, and all the malware for iOS has been reported to be seen in only Jailbroken devices. You could download any app from any website, and install it without knowing whether it has any threats for security. Scarce of protective apps: Although a vast repository, the Apple app store has a very little software known for the iOS devices and thus, there is always a scare that virus attack could happen as you have an unlocked operating system. System update removes the jailbreak: All the efforts you did to jailbreak and unlock your iOS device are gone once you get an official system update from Apple, and you might even see your phone getting locked permanently. Many a times, when you purchase an iPhone from someone who already used it, you might not notice whether its jailbroken or not, and an update you receive and install, would then give you all the unknown issues. Third party apps incompatibility: There are countless number of apps which are unauthorized and buggy, and they could easily crash the iPhone or iPad, or can even brick the device permanently. Cydia has a good directory of apps, but because jailbreaking makes it possible to install apps from anywhere, you cannot be sure how safe or compatible the app is, and it could make the phone unusable. Warranty Void: One of the most important things to remember. The jailbreaking of iPhone or iOS device would void the warranty provided by Apple for it, and if Apple finds out that you have jailbroken your device, they wouldn’t even repair the device, unless you pay for the recovery. There are ways to restore back the normal OS and remove the jailbreak, but that’s not always going to ensure that you are safe because Apple has its own ways to detect whether you had jailbroken the device in the near past. Even a jailbreak attempt could brick the iPhone: Apple uses a lot of code words and numbers for each of the iOS file. Same is the case with the developers, and if you are doing something wrong even by mistake while trying to jailbreak the iPhone, you might be seeing the device bricked. “Bricking” is something which makes the device unusable and you won’t be able to recover the normal OS by rebooting or restoring the software. 1. Untethered Jailbreak: This is one of the hardest for the developers, and this is the solution where a computer is not needed when the device is rebooting. Whenever an iOS device turns off and turns back on, the kernel is patched and there is no need of any help from the computer or jailbreak tool. 2. Tethered Jailbreak: Here, a computer is needed to turn the device on whenever it is rebooted. By using a computer, you are re-jailbreaking the device each time it turns on, and this is one of the major problems that a computer is required if the device is turned off. The phone is as good as useless until you connect it to the computer to boot it up. 3. Semi-tethered: There is no patched kernel in the device when it boots up, though it would be able to do all the functions normally. The user will have to start the device only using a jailbreaking tool if at all the actual features of jailbreak are to be used. Conclusion – Do you really need to Jailbreak your iPhone / iPad or iPod Touch? The question arises for someone who isn’t much into the core stuff and has been using at the most simplest way. The jailbreaking should be done with proper care if at all you are choosing to do it, but you always have to keep in mind about the security vulnerabilities, voiding of warranty and the consequences if something went wrong while the process is going on. There are some jailbreak tools which would work very well, but some work with luck and that’s where you have to decide whether you really wanted to jailbreak the iOS device or not. For some who are wondering whether jailbreaking would cause any legal issues in the future, there is nothing to worry about in this aspect, because the jailbreaking has some legal support from the United States Copyright Office, and you won’t be facing any issues legally, but it’s only the consequences on the phone which you have to think about.